Keep an eye on these guys next year. Now that the 2019 NFL free-agent frenzy has basically ground to a halt, it’s time to…start previewing the 2020 free-agent frenzy! That’s right, it’s never too early to begin dreaming about stars your team could but probably won’t sign, so here’s an early look at the top 10 players currently scheduled to hit the open market next March. Warning: A lot of these guys will NOT see free agency. 1. Seattle Seahawks QB Russell Wilson: The second-highest-rated passer in NFL history recently suggested he could soon leapfrog the highest-rated passer in NFL history (Aaron Rodgers) to become the highest-paid player in NFL history. But it’s extremely unlikely he leaves Seattle. 2. 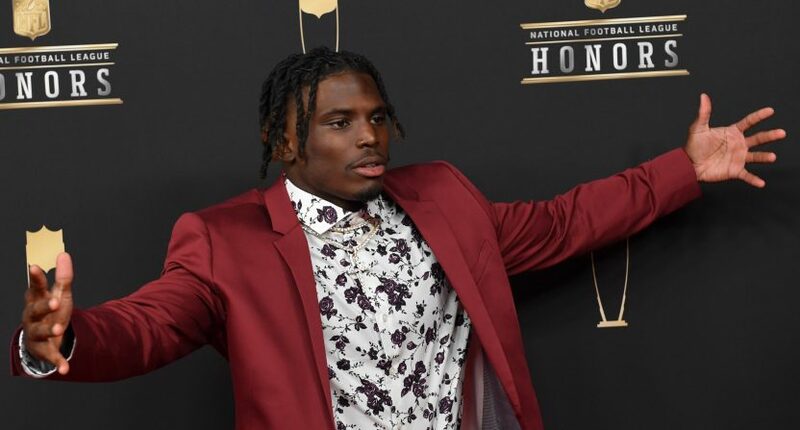 Kansas City Chiefs WR Tyreek Hill: He might be the most dynamic offensive player in pro football, and there’s been talk of a record-setting contract. But he has to stay straight off the field. 3. Los Angeles Chargers QB Philip Rivers: The eight-time Pro Bowler would probably retire before playing for anyone but the Bolts. 4. New Orleans Saints WR Michael Thomas: Another year like he had in 2018 and Thomas will become the highest-paid non-quarterback on offense in NFL history. He knows it. 5. New England Patriots QB Tom Brady: Obviously Brady will never play for anyone else. It’s not about the money at this point. 6. Dallas Cowboys QB Dak Prescott: Prescott has yet to completely rediscover the magic from his incredible rookie season, but Jerry Jones insists he’s not going anywhere. 7. Seattle Seahawks LB Bobby Wagner: The Seahawks are also talking contract with Wagner, who isn’t likely to get away. That said, the money could be astronomical based on what lesser off-ball linebackers C.J. Mosley and Anthony Barr got in free agency. 8. Dallas Cowboys DE DeMarcus Lawrence: Lawrence is the first player on this list with a half-decent chance at hitting the open market, simply because he’s on a second franchise tag already and contract talks don’t appear to be speeding along. 9. Houston Texans OLB Jadeveon Clowney: Clowney is going to have to prove it for one more year, but if he struggles or even blows away expectations, he could sneak onto the market. 10. Seattle Seahawks DE Frank Clark: Contract talks in Seattle also continue with the emerging Clark, who has elite pass-rushing skills and could become wildly expensive if he keeps improving under the franchise tag in 2019. 12. Pittsburgh Steelers QB Ben Roethlisberger: There’s been a lot of acrimony in Pittsburgh, but Big Ben will probably be a Steeler for life. They’re already talking about a new deal for the 37-year-old. 13. Dallas Cowboys WR Amari Cooper: The Cowboys didn’t give up a first-round pick for Cooper so that they could lose him a year and a half later. He’ll be re-signed, but it won’t be easy with Prescott and Lawrence also requiring new contracts. 14. New England Patriots WR Julian Edelman: Can’t imagine the Super Bowl LIII MVP is going anywhere, unless Brady retires after the 2019 season and the Pats decide to rebuild. 15. Tennessee Titans QB Marcus Mariota: This is a make-or-break year for the 2015 first-round pick. He could either become a franchise quarterback, which would result in a big-money deal or a franchise tag, or he’ll struggle and sign somewhere else as a backup. Anything in between and it’s complicated. 16. Tampa Bay Buccaneers QB Jameis Winston: This is a make-or-break year for the 2015 first-round pick. He could either become a franchise quarterback, which would result in a big-money deal or a franchise tag, or he’ll struggle and sign somewhere else as a backup. Anything in between and it’s complicated. 17. Indianapolis Colts OT Anthony Castonzo: It’s so hard to find steady, proven left tackles these days. Might be the thinnest position in the NFL. Therefore, there’s almost no way the cap-rich Colts let Castonzo get away. 18. Denver Broncos CB Chris Harris: Based on actions and words from the Broncos this offseason, don’t be surprised if Denver lets one of the league’s best slot corners hit the open market next March. 19. Indianapolis Colts TE Eric Ebron: Ebron broke out with a 13-touchdown season in 2018, so another strong year will make it hard to avoid paying up. Fortunately for the Colts, they have the cash. 20. Washington Redskins G Brandon Scherff: Because they’re low on cap space, it could be tough for the Redskins to keep one of the most talented young interior offensive linemen in the game. Still, they’ll likely prioritize Scherff.